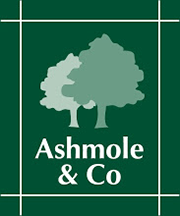 Established since 1897, Ashmole & Co now operates from eleven offices across South and West Wales and has developed a wealth of expertise in a wide range of accounting and taxation matters. Our 12 principals are able to draw on experience gained over a combined period of approaching 200 years as a qualified accountant in a practising office. Ashmole & Co acts for a number of clients in the sectors below. As a result we have a detailed understanding of how each sector operates which enables us to provide proactive advice to clients which clearly meets their specific requirements.